Replace your older aged windows in Ford Plantation Richmond Hill by calling American Craftsman Renovations. 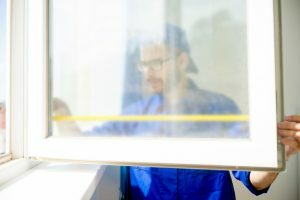 We are a full service general contracting company that services Greater Savannah Georgia and can help you create a more comfortable living space for your family with brand new custom double pane or triple pane windows. Older homes most likely have single pane windows which allow for more solar energy to enter your home during the hot summer months. Moreover, in the winter, these single pane windows also give way to cold drafts, which creates colder pockets of air in your home near windows. Single pane windows make your heating and cooling systems work harder and longer to try to keep a more constant temperature throughout your home. Replacing your single pane windows with new double pane or triple pane windows will help reduce your utility bills and create a more comfortable living space for your family. Give us a call today for more information at 912-481-8353 and schedule your Ford Plantation Richmond Hill window replacement with us.